Have we become like little children? “We never comprehend that Jesus lived fully as a Child, in the barren reality of human weakness. Jesus was a simple Child unto God. Utterly dependent, ever vulnerable to the Father because His Child’s delight was God’s will. In Matthew 18, Jesus gave two requirements for entering the Kingdom: turn away from sin, and become like little children. We are quite familiar with the first, but the second is rarely taught. “The Father’s passion is for sons of childlikeness, and we are ever presenting our grown-up accomplishments to Him, our imagined maturity, and our useful independence. But when you are reduced to a child by God’s Fathering-ways, then you are enabled to receive Him as Abba, which is “Daddy.” As a dependent child you can embrace your Father and all the rights of His Position and the enjoyment of His Provision. By exploring the parable of the Prodigal Son and examining the lives of David and Jesus Christ Himself, Martha Kilpatrick unveils the picture painted throughout the Bible of what it means to “become like little children.” Do we know what Jesus meant when He said that? And do we know how to become like little children? Our very entrance to the Kingdom depends on it. The Kingdom is for children. Kingdom citizenship is only for ‘little children,’ open only to the child. Diminutive – not older, not adult, not grown-up. All the conditions of Kingdom entrance are met in childlikeness: dependence, simplicity, receptivity, vulnerability…but above all, blank honesty. I tell you the truth, unless you turn from your sins and become like little children, you will never get into the Kingdom of Heaven. What is a little child? The Holy Spirit has painted the answer throughout the Bible, pictures of children for us Adults to see what we should be and…are not. What makes a little child? One thing, so simple as to be startling. Not obvious, but shocking in its importance and its effect. This one thing constitutes a little child—absolute honesty. Just to tell the truth, the blank truth. 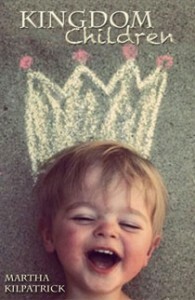 A little child is utterly truthful inside his reality. That little child has yet to learn he can be false to his own wondrous self. He has not seen yet that there can be ‘another him’ whose identity is a Lie. Soon he will follow his elders and put on the costume and don the mask because we humans are, at the core of us…liars. The beginning of sin was a lie. Adam and Eve ate a lie about God, and by the poison of the lie, they died. Their innocent-being was corrupted forever and a life that lies replaced the primal honesty that was the only thing they needed. Satan stole the one thing, the sole possession utterly essential to walk with God: Truth. When the serpent could merely feed the lie, all else fell. We have all ingested the Lie as Reality. We no longer know the lie; the lie has become the ‘truth.’ By lies we cope and exist, and so we perpetuate and permeate our world – and our own method – with Lies. Deceived and deceiving. There is one human responsibility before God: to be honest. It is the one thing and the only thing we can do. A child, though born with that same sin nature, has in the beginning a small window of utter honesty. But we quickly lose reality in this world of deception. There is one responsibility, one choice: to tell the truth, and we humans can do it. This is all we can do, for we are children. Problem is, we are so steeped in lies, we don’t know that all the world and all humanity is false. We don’t know that we also…are false at the core. God cannot meet with a liar. He has to first bring us to truth, to reality, and often that takes many years and much repentance. Then He can pour truth with lavish joy. He delights to destroy the Lie, if we will let Him. Now that we know what it is to be childlike, we can also know what childishness is. It is the basic irresponsibility of living by lying. And the result is foolishness and folly. One who lies cannot hear truth, will not see truth, or live by truth. Independence and self-sufficiency are the persuasive lies of the Liar. It is ludicrous that I can be independent of the One who made me for Himself! This foolish lie is that I could and should keep myself alive. Your God is above all – for you – a Father. And YOU! You are really and truly, only a little child. Who owns you? Who is responsible for you? Your self? The one to whom you belong determines the level of your living, the extent of your power, the size of your protection and provision. Whose you are is who you are. When I was a little girl of about 8 years old, my father was with the Federal Aviation Agency. So he had a degree of privilege and authority at the Atlanta Airport. He would take me up into the Control Tower where the airplanes were guided to land. I could hear the pilot and the controller plan the landing. That radio static of airplanes we see in movies is very familiar to me. I realize now that no one was allowed to go into that tower, but at the time I wasn’t impressed with the privilege. What a child does is what a child believes all children do. We have what our fathers have. But our earthly fathers are limited in every way. Now as God’s children, we have privilege and provision, not earned, not deserved but just because we belong to the One Who owns all. He is my Father and your Father because of Jesus Christ. Through Christ we come to our Father who is in heaven. It’s crucial for your experience of life, that you are willing to be reduced to a child who belongs to the Father by radical – even desperate – dependence on Him…and a deep willingness to be owned. You are not your own. You were bought with a price [purchased with preciousness and paid for, made His own]. The foolish prodigal, the greedy boy, wants all indulgence for his NOW! And he is free to live this out. In fact, he is given his inheritance to waste. Such is our Father’s gift of absolute freedom…to be what we choose. And that is to say, at last he came out of the Lie and into Reality. The childish prodigal has been lazy. He would not work and he had no shame to demand, as his right, the wealth that is his father’s. Entitlement is an empty hole we dig for ourselves, and when we fall to the bottom of that dark selfishness, we see at last that we absolutely cannot live without God. That is the reality, humanity’s Eternal Truth. Once you comprehend your wild foolishness, collide with your abject need, and starve in your soul famine, then you know the truth that you are but a dirty child in dire need of a Father. You have come to sanity for the first time. The man can now see the reality of his great sin. Sin, not mistake. Not temptation – sin! Only the child is pure enough to name his folly SIN. The prodigal man has become the boy again, a beggar who has ‘sinned against heaven and in your sight.’ Now he asks to be the least of his father’s hired servants, not even a beloved slave who is owned (Lk. 15:18-19). The prodigal finally sees beyond himself. At last he is outside his lusts and beyond his piggish self. He does not whine over his self-destruction. The truth is his sin has affected the universe of God and man. He had never before cared about anyone else, not his father, not even God. Real repentance is seeing the truth as God sees. I face my damage to others, and above all to God, and not just to my all-important, universe-centered self. Our choices to leave God take us to a need of Him so great we will come back begging for the smallest place, for which we are – at last – humbly glad to take. The bad boy has recovered his true condition as a weak and foolish child, but the son mistakenly believes he must work for his place. He thinks his father is like himself. That is the final lie to be dismantled. The word ‘poor’ in Greek means helpless, destitute, beggar. In other words…a child. And that poor, weak thing possesses the kingdom! God’s perfection is in His Fatherhood, His glory shines through His Parent heart of grace and kindness. Our Father intends to pour His lavish love on His small children but no one can share in that expression of His greatness – not a single person ever. We enter His throne realm as the lowest of human specimens or we enter NOT AT ALL! You born-again believers were chosen among billions. Deliberately chosen by God, you are adopted into His own family through Jesus Christ. God has given His criterion of qualification for being chosen, and here is why YOU were chosen. Turn around, go back to being simple, utterly honest and real, willing to be a very small speck whose only hope and single love is a very Big God. We really don’t understand our own human condition. We don’t comprehend sin. We think sin is actions, or thoughts. Taking what is not yours, being what you are not, owning what does not belong to you, and using illegitimate means to possess power – the hideous strength of flesh supported by the devil. All of us are propping up a false strength, grasping something solid to hold us. Strength is our belief; might is our ambition. The world does not admire the weak and poor in spirit, but these are the ones who evoke God’s focus and HIS overshadowing might. To turn back to child-simplicity, it is strength we must shed.